Your next challenge is to design a way to move a ball from one place to another without touching it with your hands. Call it a launcher, a kicking machine, a catapault or whatever you want! 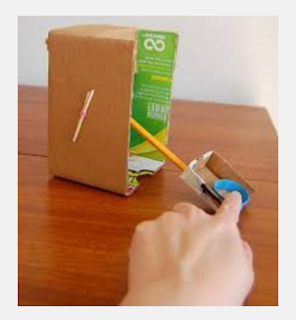 Here is a fairly easy catapault design tutorial.